Complete Vacation Wedding Weekend Packages with lodging in Luxury furnished cabins or campground RV full hook up sites. Ceremony sites over looking lake, or indoors. Receptions in dazzling Permanent Tent. Decorations and Wedding Planner included. We set up and Clean up for you! Stress Free. Whether you’re searching for an elegant venue in Chicago to host an intimate baby shower, a party place for your office bash or a space to celebrate your daughter’s quinceañera or wedding reception, Damenzo’s Banquets is dedicated on making your event a unique and memorable experience. 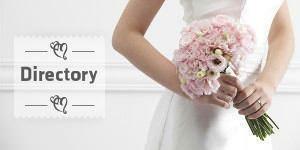 Yours Truly is a wedding album company for brides and for married couples. Zookbinders is proud to partner with professional photographers in delivering exceptional albums and services. We ensure quality results in record time. Do you Dream of Having a Luxurious Honeymoon, Perfect Destination Wedding or Romantic Getaway but find the thought of handling all the details overwhelming? That Travel Lady Can Help!! Complete the bride and groom's day and their life with our fine collection of personalized gifts for the bride, the bridesmaids, the groom, the groomsmen, the father of the bride, the flower girls, the mother of the bride, the ring bearer and other family and friends that have devoted their time and money towards this special event. Martinique banquet complex can be a perfect place for wedding and affordable banquet halls in chicago. Martinique banquet complex is the best place for any celebration.Martini Banquet Complex has been the Best Premier location for weddings and ultimate place for any kind of event in illinois.